Less than a week in, and already I’m a fail – it’s the 4th already, yet I’m only on the third post. One of the main issues I’ve covered in this blog in the past (in general, not just this month) is my battle to get some form of adoptee-appropriate therapy (see the post-adoption support tag for some examples). 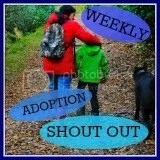 Indeed, one of the biggest criticisms I’ve got against adoption as it stands for UK adoptees today is that, aside from the irrevocability of it all, while there’s this insane drive to create more of us, it seems as if nothing is being done to help those of us that have already been created. It’s not even compulsory for any of the authorities to provide adoptee-specific counselling once an adoptee hits 18, yet it is not until far into adulthood that many adoptees even realise that some (many, often) of the issues they’re dealing with are related to the impact that adoption has upon the psyche. The coping mechanisms the adoptee believed would keep him safe while growing up are not very helpful in adult relationships. They are just that: coping skills, not true personality. Each adoptee is a unique individual, yet those coping skills are quite predictable. Gradually replacing coping skills with the true self should be a goal. However, all the self-help books in the world can not help the adult who wants to be able to claw back some semblance of humanity over coping skills if that adult can not see which of their behaviours are true personality, and which are simply coping mechanisms borne of the devastating loss of ones own genealogical everything. This is why adult adoptees are at least as in need of trained, adoptee-specific psychological assistance as those adoptees who have not yet reached that magical cut-off point of 18 years of age, yet we get nothing. We get nothing, and are expected to be grateful for our loss. This fails to make sense, especially considering that had we stayed with our genealogical progenitors and been abused by them (’cause all adoptees’d be abused if they stayed with their b’rents, doncha know :p), then we would have no problem accessing appropriate psychological interventions as adults – as my own brother has demonstrated by his repeated ease of obtaining counselling. Yet adoptees can not undertake just any old counselling. The adoptee requires adoptee-specialists who don’t come out with idiotic and DANGEROUS questions such as “but aren’t you grateful?” like I got asked by the Chase Wellbeing counsellor that was the last person I got access to (back in ~May 2010). Yet this specialist help is not available – or, at least, not available without paying extortionate charges. Yet still the government continues to create more of us – with tomorrow being the first day of National Adoption Week 2012 (which I refuse point-blank to link to, since they refuse to print anything this “Adoption Champion” has written (it’s true, I am, I have the pack ‘n’ get e-mailed each year)). This is cruel and abusive treatment, surely?